Palmetto weevil (Rhynchophorus cruentatus) is the largest weevil in North America and native to the southeastern US. These beetles are often considered pests because their larvae feed on palms, often causing the host plant to die. 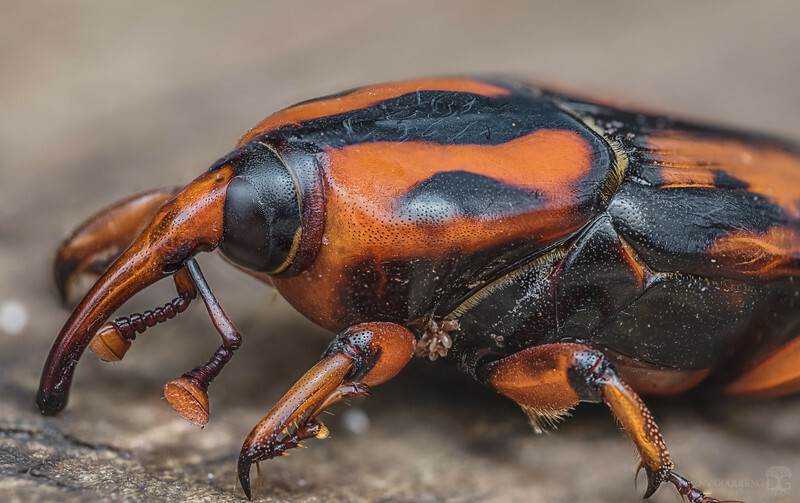 They feed on Florida's native palms including the cabbage palm and saw palmetto, however they frequently target recently transplanted ornamental palms because the plants are already stressed from the move leaving them vulnerable to the weevil larvae's voracious appetite. Weevil infestations are uncommon in undisturbed areas.